Why Invest in Mirae Mutual Fund? 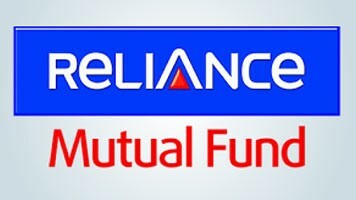 How to Invest in Mirae Mutual Fund Online? Mirae Mutual Fund is one of the fastest growing AMCs in India. The fund house provides funds under 3 major categories – equity, thematic and fixed income. The funds they offer have shown a stable performance over the last few years. Investors who wish to attain long-term Investment plan can prefer Investing in Equity Funds. But an investor should have a high-tolerance level to invest in equities. Investors with an average risk can ideally invest in fixed income and earn optimal returns over the time. Following are the best Mirae Asset Mutual Fund schemes to invest for 2019. These funds have been shortlisted by undertaking certain parameters like AUM, NAV, past performances, peer average returns, etc. Mirae Asset Great Consumer Fund is a Equity - Sectoral fund was launched on 29 Mar 11. It is a fund with High risk and has given a CAGR/Annualized return of 16.8% since its launch. Ranked 7 in Sectoral category. Return for 2018 was 1.9% , 2017 was 51% and 2016 was 2% . The investment objective of the scheme is to generate consistent returns with a high level of liquidity in a judicious portfolio mix comprising of money market and debt instruments. The Scheme does not guarantee any returns. 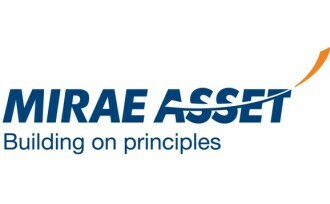 Mirae Asset Cash Management Fund is a Debt - Liquid Fund fund was launched on 12 Jan 09. 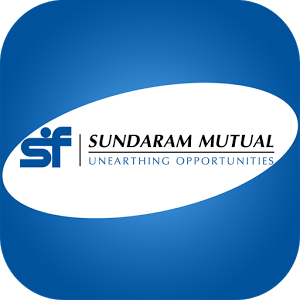 It is a fund with Low risk and has given a CAGR/Annualized return of 6.8% since its launch. Ranked 48 in Liquid Fund category. Return for 2018 was 7.3% , 2017 was 6.6% and 2016 was 7.2% . The investment objective of the scheme is to seek to generate returns with low volatility and higher liquidity through a portfolio of debt and money market instruments. The scheme does not guarantee any returns. Mirae Asset Savings Fund is a Debt - Low Duration fund was launched on 5 Mar 08. It is a fund with Moderately Low risk and has given a CAGR/Annualized return of 4.4% since its launch. Ranked 84 in Low Duration category. Return for 2018 was 6.6% , 2017 was 5.8% and 2016 was 6.9% . expected amount after 3 Years is ₹200,132. Mirae Asset Hybrid Equity Fund is a Hybrid - Hybrid Equity fund was launched on 29 Jul 15. It is a fund with Moderately High risk and has given a CAGR/Annualized return of 11.3% since its launch. Return for 2018 was 1.3% , 2017 was 27.8% and 2016 was 8.5% . Mirae Asset Tax Saver Fund is a Equity - ELSS fund was launched on 28 Dec 15. It is a fund with Moderately High risk and has given a CAGR/Annualized return of 19% since its launch. Return for 2018 was -2.3% , 2017 was 47.9% and 2016 was 14.8% . Mirae Asset Emerging Bluechip Fund is a Equity - Large & Mid Cap fund was launched on 9 Jul 10. It is a fund with Moderately High risk and has given a CAGR/Annualized return of 21.1% since its launch. Return for 2018 was -5.4% , 2017 was 49% and 2016 was 12.2% . The objective of the Scheme is to generate optimal returns through active management of a portfolio of debt and money market instruments. However, there is no assurance that the investment objective of the Scheme will be realized and the Scheme does not assure or guarantee any returns. Mirae Asset Dynamic Bond Fund is a Debt - Dynamic Bond fund was launched on 24 Mar 17. It is a fund with Moderate risk and has given a CAGR/Annualized return of 4.8% since its launch. Return for 2018 was 4.6% . Mahendra Jajoo 24 Mar 17 2.02 Yr.